Heliotrope Books LLC, 9781942762447, 250pp. The best seats Lisa Kohn ever had at Madison Square Garden were at her mother's mass wedding, and the best cocaine she ever had was from her father's friend, the judge. Born to hippie parents and raised in New York City's East Village in the 1970s, Lisa's early years were a mixture of encounter groups, primal screams, macrobiotic diets, communes, Indian ashrams, Jefferson Airplane concerts in Central Park, and watching naked actors on off-Broadway stages during the musical HAIR. By the time her older brother was ten, Lisa's father had him smoking pot. By the time Lisa was ten, Lisa's mother had them pledging their lives to the Unification Church (the "Moonies") and self-appointed Messiah, Reverend Sun Myung Moon. As a child Lisa knew the ecstatic comfort of inclusion in a cult and as a teenager the torment of rebelling against it. As an adult, Lisa struggled to break free from the hold of abuse and the scars in her heart, mind, and psyche--battling her own addictions and inner demons and searching her soul for a sense of self-worth. 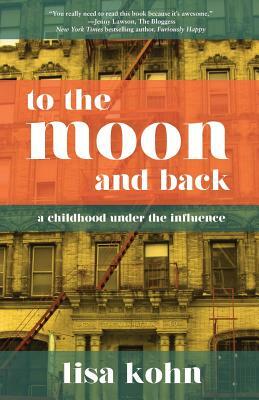 Told in spirited candor, to the moon and back reveals how one can leave behind absurdity and horror and create a life of intention and joy. This is the fascinating tale of a story rarely told in its full complexity.